Charging our gadgets can be somewhat cumbersome at times, because it can take a long time to get an appreciable and usable amount of power. If you’ve got a quick charge 2.0 capable device, then you might enjoy this deal. Aukey Quick Charge Wall Charger and Car Charger discounted with the below codes. Need power fast? I do. 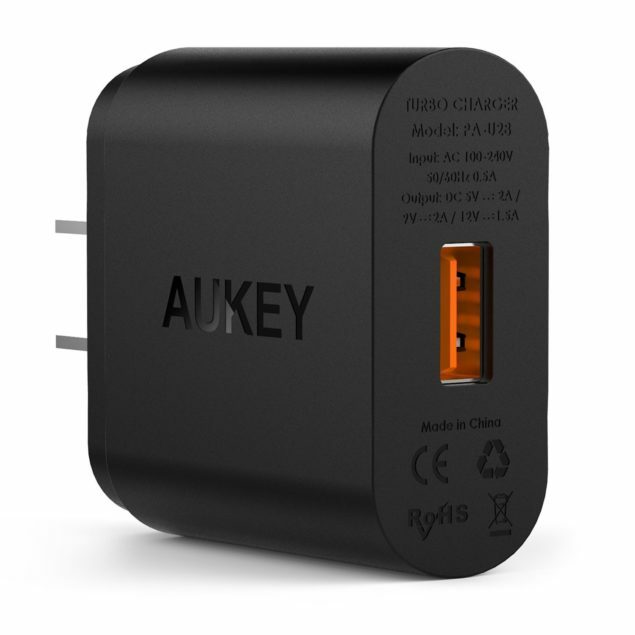 We’ve just received word that Aukey, a not so known but very well received brand, has discounted their car charger as well as their wall charger that are both Qualcomm certified for Quick Charge 2.0. They claim, and do seem to deliver if the reviews are anything to go by, that they can charge up to 75% faster than a typical charger if paired with a compatible device. DJPX97DU for the Wall Charger for $7 of savings. Y2TDBXXI for the Car Charger for $7.50 of savings. Just pop those coupon codes into the appropriate box during checkout to enjoy the savings. Right now they’re very well reviewed, and I think I might have to put those claims to the test with our very own reviews. Even see how they work with non Quick Charge 2.0 devices.